If we had to present an award for "the strangest location for a ramen joint", it would go to Shibuyatei. Off to the side of a car wash along Sea Island Way in Richmond, the place is small and is really a one-man operation. The fellow greets, cooks, cleans, takes orders and scolds customers all in unison. Yep, he is our version of the Soup Nazi. 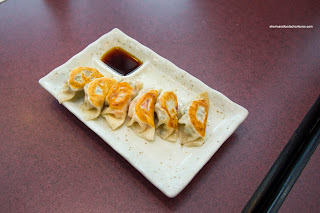 This also happened to be our 3rd stop on the Dumpling Trail where we were in search of some Gyoza. That we did order, but as with all of the other stops, we were going to do a full meal too. We did indeed start with their dumplings in the Gyoza Combo featuring 2 each of Pork, Shrimp and Scallop. These featured a thin and chewy skin that was a touch dry. On the bottom, it was fairly well-seared, but it wasn't really that crispy. My favourite of the bunch was the pork as it was tender, moist and a bit meaty. It was mild-tasting though. I found the scallop to be sweet, but a little mushy as the meat was diced up pretty small. On the other hand, the shrimp had a meaty snap and was naturally sweet. We decided to try their Pork Katsu Curry as well and I found it pretty solid. The katsu was tender and meaty while the panko coating was not really all that crunchy. 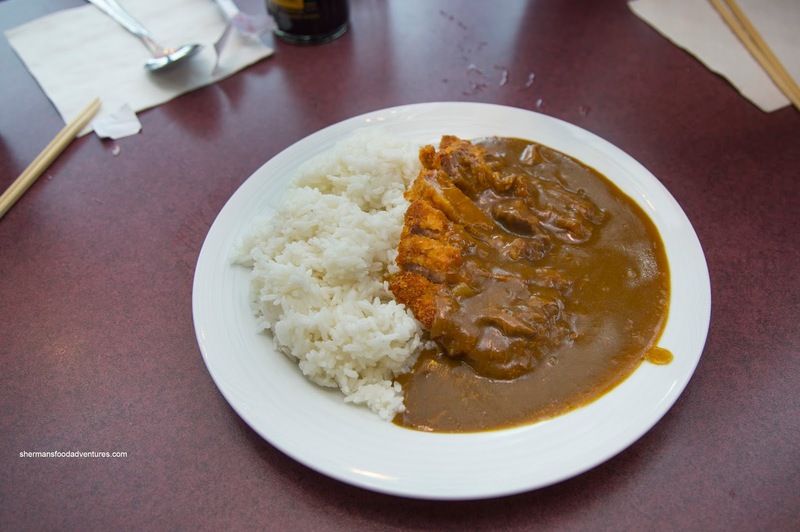 I found the curry itself to be just sweet enough with a rich and deep spice. There was some beef in it though as it doubled as the beef curry as well. Of course we also tried their Larmen in original form and also the Clam Larmen. Both soup bases were really light and clean. There was no fat to be found and we could really taste the shoyu. Was it good? I guess it is subjective as I'm sure some people love the Tokyo-style, but for us, we much prefer the rich tonkotsu broth. Again, very subjective. 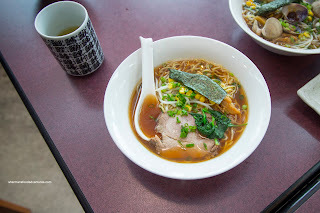 We liked the noodles as they were al dente and stayed as such even in the hot broth. I found the chashu to be on the leaner side, but still tender. 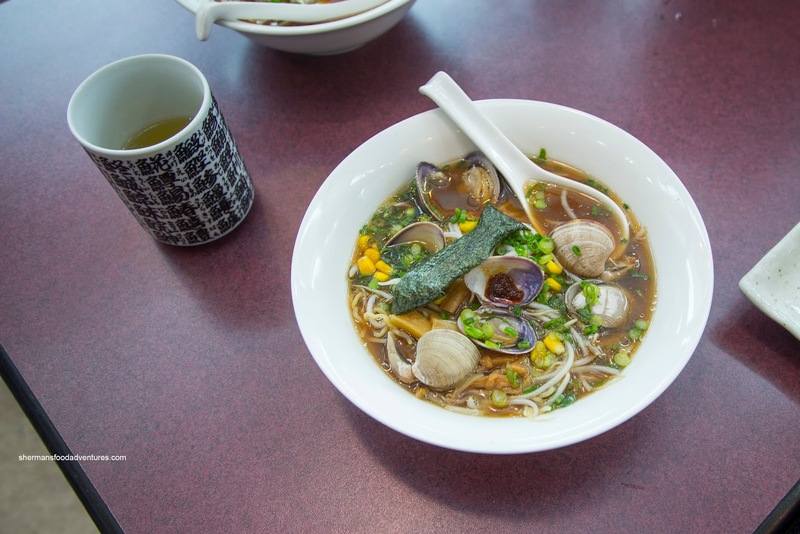 The clams added a brininess and strong shellfish flavour to the broth. 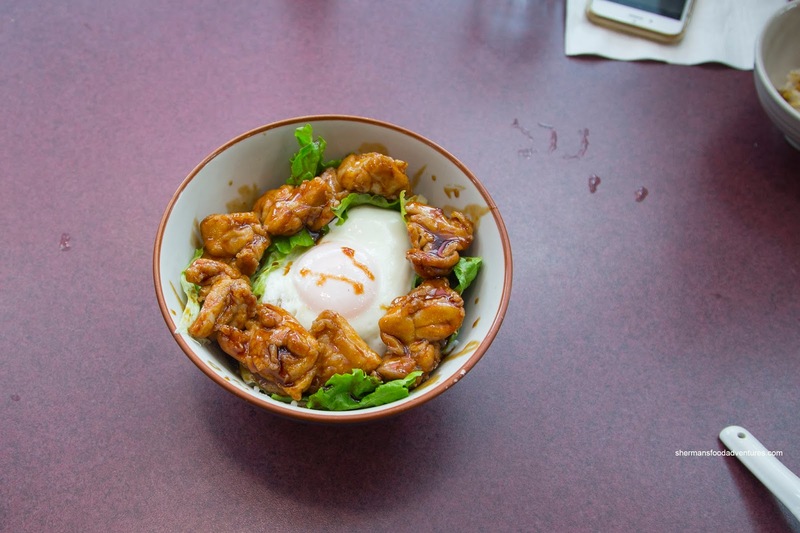 For some, it was too strong and created an overwhelming fishiness to the bowl of noodles. Personally, I liked it and it reminded me of the one at The Ramenman. Lastly, we had the Deluxe Giff Don featuring fried chicken karaage pieces coated in a sweet soy atop rice. Completing the dish was a soft yolk egg on top. This was fairly pleasant where the chewy rice benefited from the runny and silky yolk. The chicken sported rendered skin which wasn't crispy though. There was enough sweeten soy to not only flavour the chicken, but the rice as well. I wished the chicken had some inherent flavour of its own rather than just the outside. Overall, I found the food at Shibuyatei quite good and a bit different. 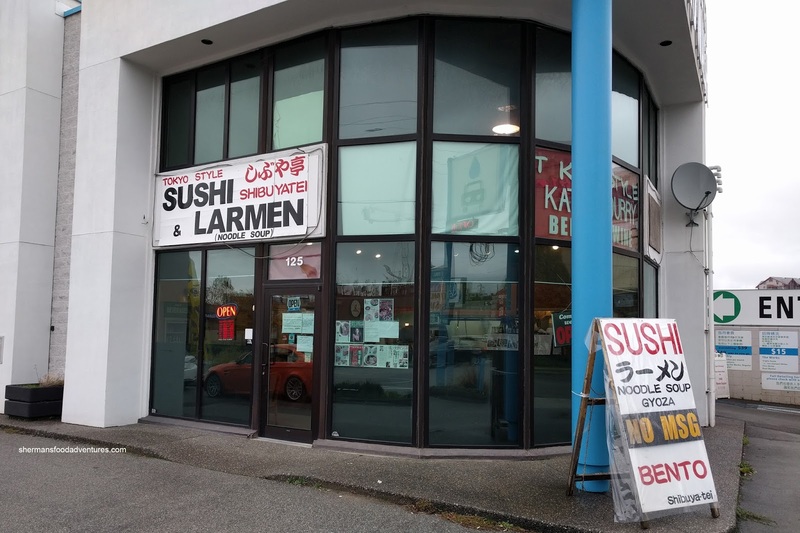 I guess whether you like the larmen or not is purely subjective.